As intimated earlier, the National event leaderboard at the end of Day 1 on Dayinsure Wales Rally GB has changed slightly. John Wink had an erroneous 30 seconds removed from his Slate Mountain 2 stage time. The Hyundai driver actually started on a full minute but it would appear that the Marshal had noted an earlier start time on the half minute. 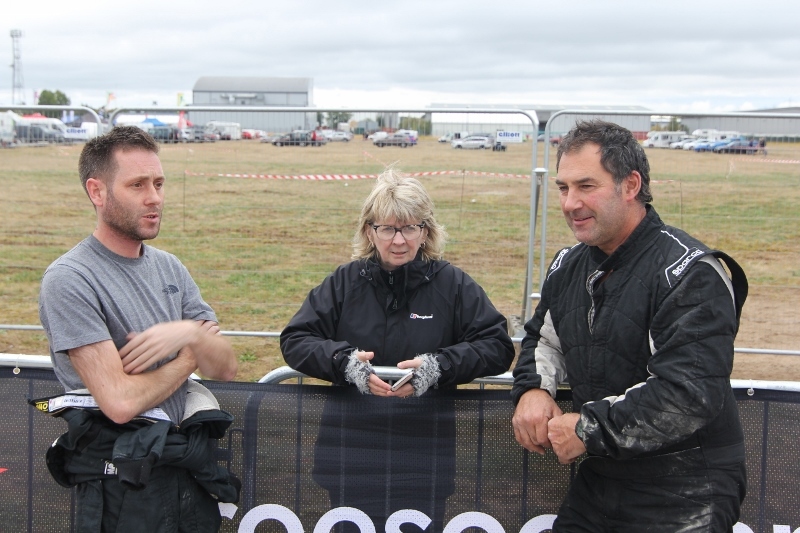 No damage done but it was worrying for the two John s until it was sorted out. As for the Marshals, you can’t really be too hard on them either, standing out there in the cold and the wet on top of a bluidy mountain made out of slate. 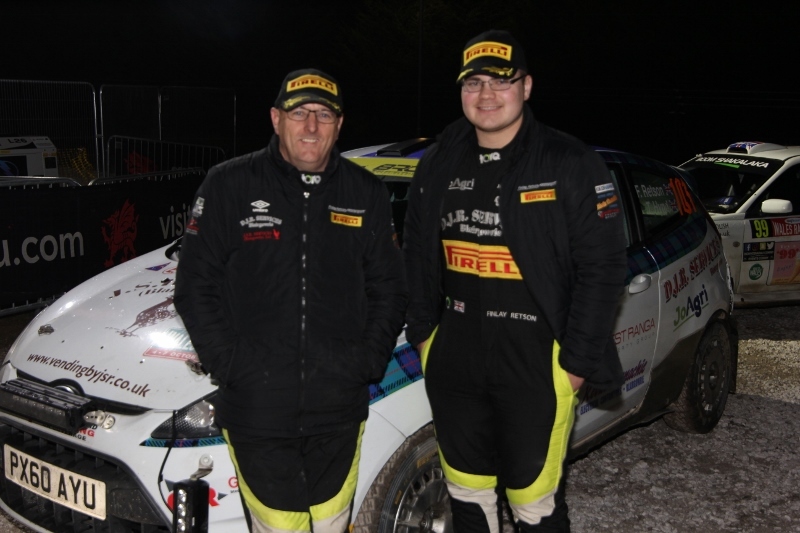 Andrew Gallacher’s time had to be amended too and he was credited with a discretionary time by the organisers after he was forced to stop at Tom Preston’s accident. It was during the avoidance of that accident that the Focus broke a rear driveshaft so he had to take it easy (by Gallacher standards!) through the next stage on 3 wheel drive and really backed off over the two short Slate Mountain tests to reach service and hopefully a new driveshaft. Makes you think, Paul Benn can beat Amazon when it comes to deliveries, eh? Anyway, Gallacher now leads Wink by 25 seconds while third placed Roger Duckworth is a further 27 seconds behind. Alan Dickson’s time through Penmachno has also been adjusted after another accident caused the field timing system to go down out there in the wilds, and he has moved ahead of Simon Hay into 6th place with Simon demoted to 7th. Ellya Gold is still 13th, James Gibb 20th, Ernie Lee 28th, Carl Tuer 36th, Niall Cowan Jnr 42nd and Gordon Alexander 55th in the Nova. Credit too must be given to young Sam Bilham who is holding 14th place overall in a Fiesta R2 with our own Cammy Fair on the Notes. Alex Laffey finished the day 7 second behind Edwards, despite losing the brakes in one stage: “That was scary,” he said. Finlay Retson finished the day as first Cadet and 3rd Junior overall in an excellent 34th overall but he too is having problems with his brakes. The team changed the pads and bled the fronts at mid-day service but they are going to check the whole system tonight. Going into the last stage he was 5.6 second behind Jordan Reynolds and Tom said: “just forget the brakes, go for it.” And he did, taking 18 seconds out of his rival on that final test. Ya beezer, eh? 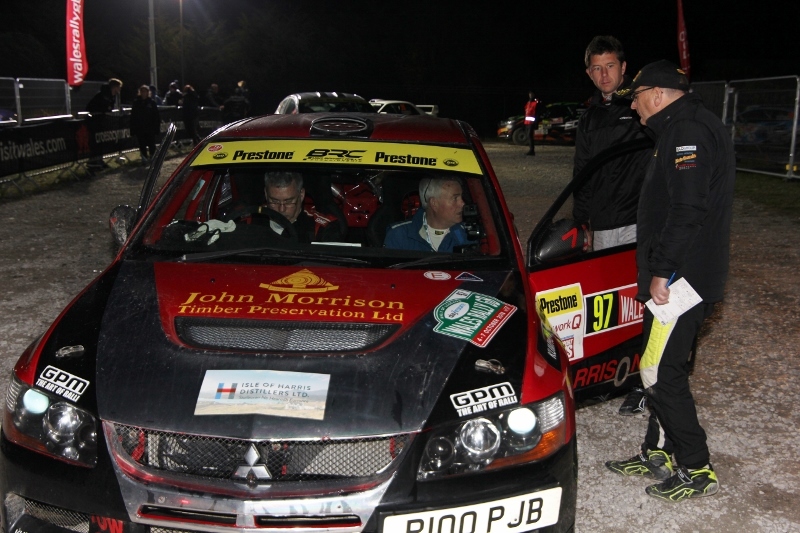 John Morrison ended the day in 51st place but was struggling at times. With his flat-shift not working he’s having to change gear manually but remember this is a sequential shift and he has no gear indicator and at one point today he tried to tackle a hairpin in Neutral. Apparently this is not a practice to be recommended! But at last he’s still going and still enjoying it. Oh, yes, that ‘other, other’ event. Well, a furrin chap called Ott Tanak is leading from Thierry Neuville and Jari-Matti Latvala, but the Ford boys aren’t doing so well. Seriously though, some may doubt the popularity and the future of rallying but no-one has told the fans and the crowds in Wales. The place is packed. I overheard a sardine saying it was going back into its tin cos there was no room on the roads or in the forests!